By David Skolnick | October 5, 2018 at 12:10a.m. Prominent national attorney Michael Avenatti, who’s exploring a 2020 presidential bid, sharply criticized an FBI investigation into allegations of sexual misconduct by Supreme Court nominee Brett Kavanaugh. Avenatti was in the Mahoning Valley to speak at the Mahoning/Trumbull AFL-CIO Council’s annual dinner. It’s his third visit to the area since mid-July. 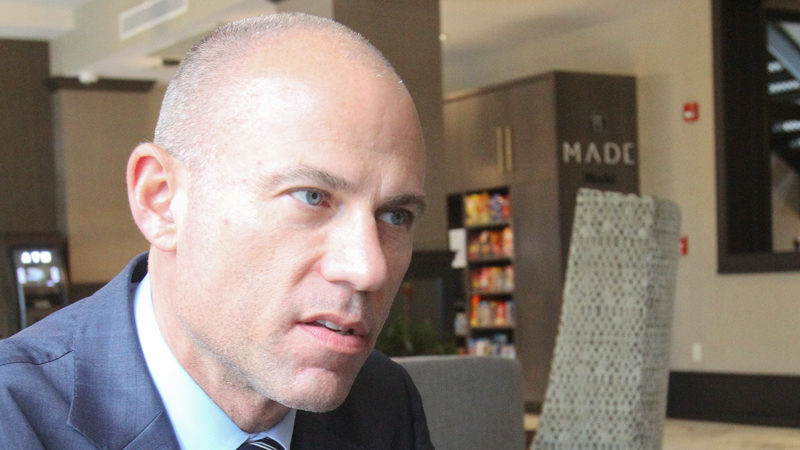 Avenatti represents Julie Swetnick, who gave a sworn affidavit last week that Kavanaugh engaged in “excessive drinking and inappropriate contact of a sexual nature with women in the early 1980s.” Swetnick said she was sexually assaulted at a party attended by Kavanaugh, but did not accuse him of assaulting her. Two other women – including Christine Blasey Ford, who appeared last week before the Senate Judiciary Committee – have accused Kavanaugh of sexually abusing them. The Senate is scheduled to have a procedural vote today and then vote to confirm Kavanaugh on Saturday. Avenatti is best known for representing adult-film actress Stormy Daniels in her lawsuits over an alleged affair with President Donald Trump. Trump has denied the affair. Avenatti said he is “very serious” about running for president in 2020. September 26, 2018 9:03 a.m.
September 30, 2018 3:45 p.m.